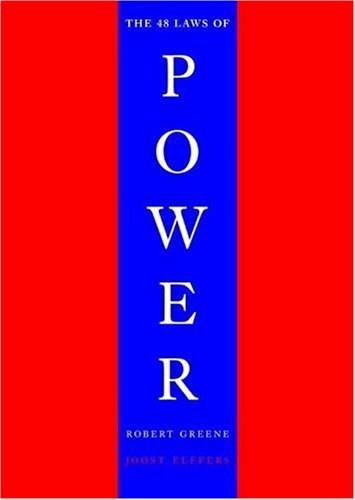 Highly recommend The 48 Laws of Power by Robert Greene. Once upon a time I thought busting my rear and running around frantically impressed people and made my boss think I was a hard worker. Look how fast I’m moving, how freaked out I am about doing a good job, how much I’m accomplishing in a short timeframe. I remember one short bout of employment I had for a logging company. I was running when everyone else was walking and trying to show off how capable I was. I just ended up tiring myself out before everyone else. The key is to still bust your rear but not let people see it. People who work in a frantic way don’t look like they’re in control. They don’t inspire confidence and respect. When you have an aura like you’re juggling a hundred balls and hopped up on speed, well, you look more like you’re on drugs than working hard. It looks as if the work is too much for you and you can’t handle it. Instead, slow down. Do your job right, do it like it’s not even work to you. This doesn’t mean you’re not working as hard. It’s all about time management. It’s also about concealing your tricks – if this means you’re working an extra hour at home so your workday is more casual, so be it. Think about your own impressions of people you’ve worked with. Before I started employing the laws of power, I would be mystified by coworkers who weren’t losing their mind, darting here and there. They had an aura of majesty and control, like work was nothing to them, just a snap of the fingers. Consider how you look when working. Who’s the boss going to promote, the person who looks barely able to handle what’s on his plate now or the one who looks like he hits deadlines in his sleep?